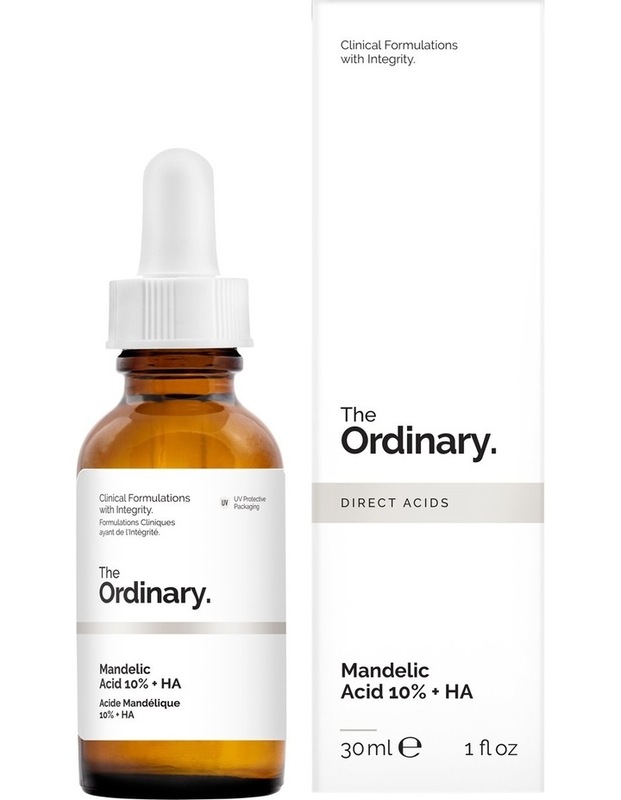 Mandelic Acid 10% HA offers superficial dermal peeling that is gentler than other alpha hydroxy acids. The molecular weight of mandelic acid is 152.1 daltons which is larger than other alpha hydroxy acids (glycolic acid is 76.0 daltons, for example). This larger size allows mandelic acid to penetrate the skin more slowly which in turn makes it very gentle and suitable for all skin types including the most sensitive skin. You don't need a concentration of more than 10%, because then you would simply be achieving an indirect peeling strength that is more easily offered through lower percentages of glycolic acid.